When Jesse Shepard was 9 or 10, he and his family set out on a cross- country road trip. His famous dad, playwright Sam, was at the wheel. Jesse was writing a postcard to his grandmother. For some reason he was describing places, such as the Grand Tetons, that the family had yet to reach. When he tired of that game, he asked his dad what else he should write about. "Try writing about what you're seeing right now," replied his father. It turned out to be great advice, said Jesse, relating the tale to a rapt overflow audience Thursday at City Lights Bookstore. He glanced to his left and smiled at his father, who was sitting in the front row. Jesse Shepard was appearing at the venerable mavericks' bookstore to promote his first collection of stories, "Jubilee King." His dad, as good fathers do, was on hand to lend his support. 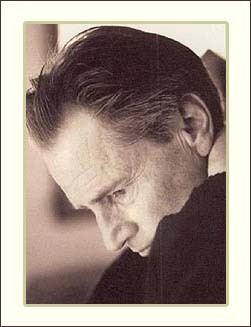 It sometimes seems as though all of Sam Shepard's considerable body of work is engrossed with the other kind of male authority figure - the bad kind. The fathers who wouldn't show up at their son's literary coming-out party, or would get there late, only to drag the boy to a saloon across the street, where they would inevitably stumble into some bad behavior together. But Sam and Jesse seem to get along swimmingly. After both men had read from their material, an admirer asked tentatively whether this particular father-son combination had suffered any of the struggles so common to Sam's manly archetypes. Sam allowed as to how much of his writing borrows from his rocky relationship with his own dad. "My relationship with Jesse has been the complete opposite," he said. He paused and turned toward his son, a question furrowing his brow. Rakish waves of hair swept back from the center of both foreheads. There was one incident, Sam Shepard began to say. Something about a dog. Jesse Shepard immediately cut him off with a broad grin: Too much information. Jesse, a confident, wry reader with a trim strawberry-blond beard, opened the evening with two lengthy excerpts from his book. "Everything hinges on selling the Plymouth," began the first piece. The car, he explained, had no reverse. His father leaned forward in his seat, running a thumbnail along his front teeth. Across the room from the lectern, an old, slightly stained blowup of the cover from Sam's "Motel Chronicles," first published two decades ago by City Lights, hung alongside a Charles Bukowski title. When Jesse was through, the patriarchal Shepard stepped to the microphone with a red folder in hand. He read from "Fool for Love," "True West" and other signature plays; he recalled his long relationship with San Francisco's Magic Theatre. He spoke of his affection for magic realism ("it's a different code") and Samuel Beckett ("I mean, he was the guy. Like listening to Thelonious Monk for the first time"). He told of sitting in a bar in Cedar Rapids earlier this week, gazing at "the endless CNN bull...," where he first learned of singer Nina Simone's death. In memoriam, he read an old piece that recounted his young, anonymous days in New York City, where he once worked as a busboy at the Village Gate. wig in her dressing room, pasting her fake eyelashes to the mirror. He lost the job, he said, when he spilled candle wax on a businessman as Simone sang "You'd Be So Nice to Come Home To." Another story that drew enthusiastic response was told from the point of view of a school-age boy - one of Shepard's kids quizzing his father for information about the 1980s for a social studies paper. Comically, the father claims utter ignorance of everything that happened during the entire decade. Some minutes later, Shepard introduced an excerpt from "Fool for Love," recollecting its premiere at the Magic. "God, I don't remember how far back that was," he said. "It was the '80s," someone blurted, earning the night's biggest laugh. As the two generations of Shepards began signing books, their audience filtered onto the drizzly sidewalk outside. A pair of passers-by quizzed each other on the attraction. "Who's Sam Shepard?" the man asked. "I thought he was the one who killed his wife."